Tidal is a subscription-based online music streaming service. 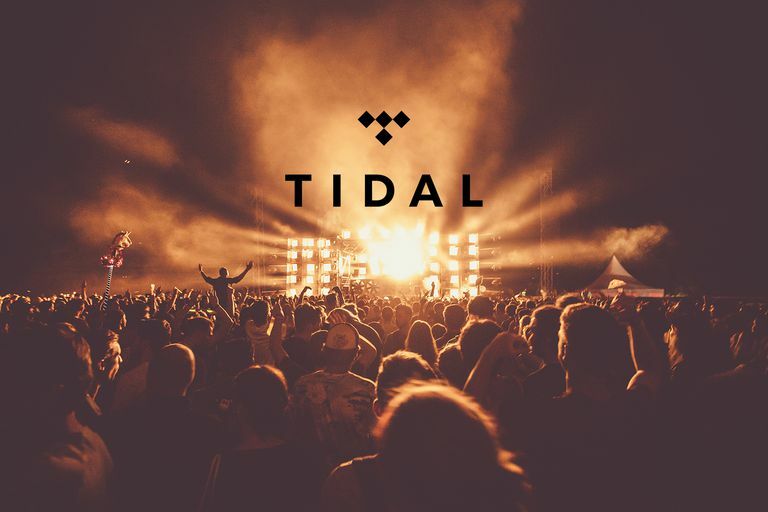 Tidal tries to set itself apart by delivering higher-quality audio, HD music videos, and exclusive editorial content. The platform is owned by many high profile artists, including Jay-Z, Beyonce, Kanye West, Nicki Minaj, Coldplay, and Calvin Harris. Despite Jay-Z’s claim that Tidal isn’t competing with anyone, the platform is essentially a competitor of Spotify, Pandora, and Apple Music. But there are a couple of things that set it apart. Tidal is the only streaming service that offers high fidelity, lossless audio quality. Essentially, that means the service provides a much clearer and more defined sound by keeping music files whole — e.g. not cutting out parts of the file in order to minimize it. Unsurprisingly, given that it is owned by musicians, Tidal also believes in paying artists more in the way of royalties. While Spotify and other streaming services also pay royalties, Tidal promises to pay a greater share to artists. At the time of writing, Tidal pays artists $0.011 per play, Apple Music pays $0.0064 and Spotify pays $0.0038. Oh, then there’s the small matter of exclusive music, too. Many of the stakeholding artists have released exclusive content on the platform. Most recently, Jay-Z himself released his 13th album, 4:44 early exclusively to subscribers of the platform. Why is this a win for Tidal? If you only used Spotify to listen to music, you couldn't hear that album for months. Tidal Hi-Fi sounds so good, you really might forget you are listening to a stream. Tidal promises more content that you'll only be able to hear on Tidal (this remains to be seen, of course). Once the free service has ended, you have to pony up the monthly fee or stop using the service. There is no ad-supported model available at all. Not only do you have to pay more for Tidal Hi-Fi, the headphones you are using likely won't be able to reproduce the fidelity you are paying for. And, no, those earbuds that came in the box with your new smartphone aren't going to cut it. That higher-quality stream means you are using more of your mobile data plan. If you have a data cap, using Tidal Hi-Fi could mean that cap gets used up faster than you are used OR you have to up your data plan. This is Tidal's standard plans (think Spotify-quality). This is Tidal's Hi-Fi plan. Tidal also offers family, student, and military plans. You can see the prices on Tidal's site.